Card handed to me by unsuspecting Texas Democratic Party staff. 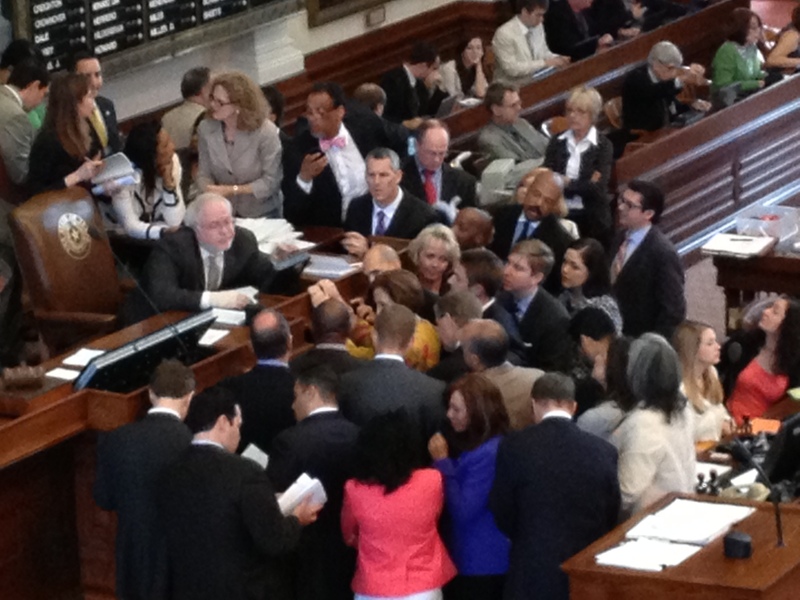 In the first few hours of June 21st, 2013, citizens overwhelmed the proceedings of a committee hearing in Texas for an unscientific and inhumane piece of legislation. HB60, later SB5, would have further restricted abortion access to five clinics across the state leaving no providers west of Interstate-35. After being insulted and arbitrarily warned off by the committee’s chairman, the people protested against the government during the first battle of decorum vs. dissent. Starting with my own testimony about seven and a half hours in, we ran the chairman off and forced remaining politicians to do their jobs by staying and listening to more testimony until 4am that morning. This pattern of dissent and ceasing with the theater of “decorum” continued for the rest of the fight against SB5. When the clock struck midnight on June 26th , it was the unelected citizens who nullified the special session by overpowering attempts to vote on the bill with 20 minutes of sustained screaming, cheering, clapping, and singing. 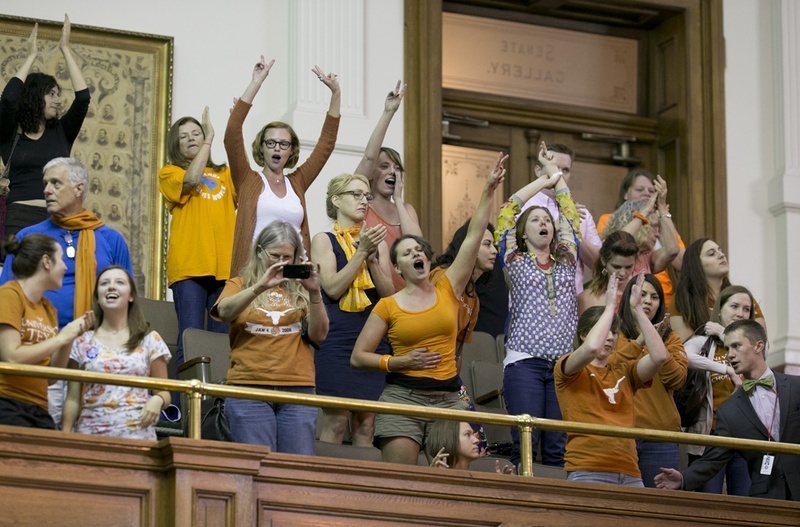 The entire effort was only possible because a critical mass of Texan women and their allies were scared and angry enough to travel to the Capitol to do the job of real dissent. When it was crunch time, the people watched Democratic senators get steamrolled by their own protocols of decorum and resign themselves to failure. Even after the midnight protest, the people witnessed the manipulation of official state records in an attempt to reflect a timely vote that never happened. Throughout, the government tried and failed to justify its own presence and proceedings. Alternatively, people resisted submission at each crucial turn of the fight for women’s rights. Before the final citizens’ filibuster, it’s true that one female state senator picked up on the brevity of the people and bucked decorum before the replacement Senate chair. It’s also true that another female state senator sacrificed her body for 13 hours in the hopes of defeating SB5 though legislative procedure and proper decorum. Frankly, I’m not willing to rah-rah about those female politicians for much longer. It was their job to perform that way. Millions of Texans have been suffering in silence for much longer than those women endured for one Monday. The state’s abysmal human rights and quality of life records are not only due to the malfeasance of one political party. For the past thirty years, the acquiescence and lack of class-consciousness by our other “major” party also helped shuttle Texans and their families along a stultifying descent. 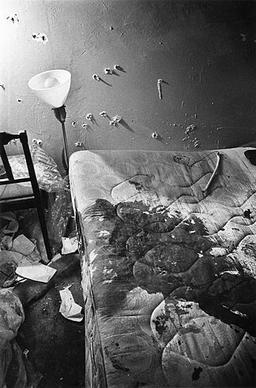 None of that suffering, waiting, or hoping seems to matter a week and change after the SB5 rebellion. The Texas Democratic Party (TDP) revisionism is already beginning to set in. Their newest star, Sen. Wendy Davis, is describing the citizen’s filibuster as “true democracy,” instead of the rejection of the official democratic process that it really was. Headlines of many fundraising emails should indicate that the people shut government down but instead we are credited with helping this party or that party (but especially the Blue Team) further their mission to fight for the rights of women or the unborn. Also, could you spare some money or free labor for this or that campaign? Those in attendance today need to remember that the needs of the working poor and most vulnerable in Texas still aren’t being addressed by this second special session or either political party. 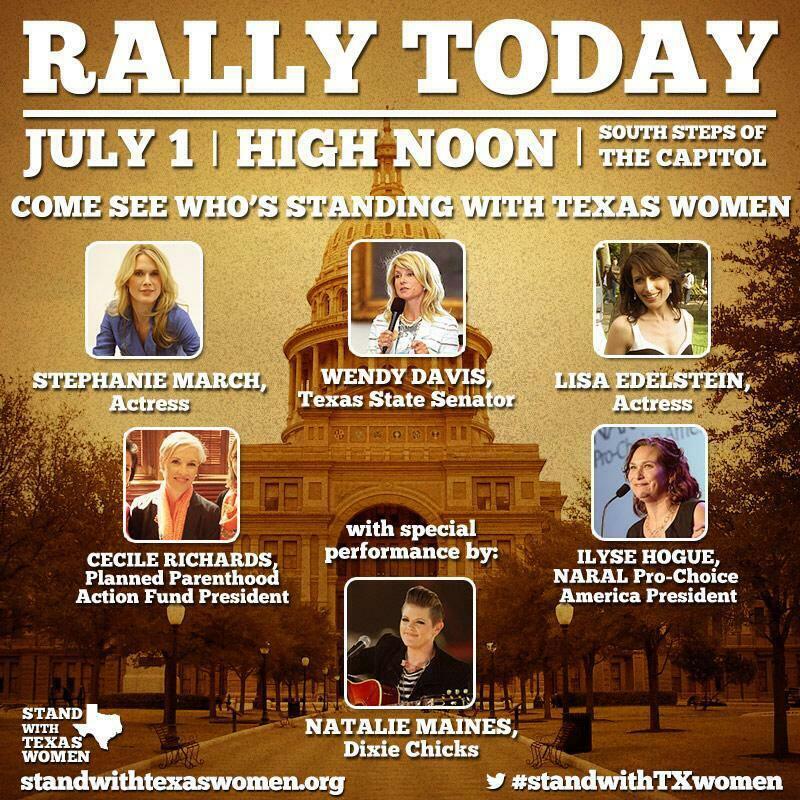 Already, the lack of diversity and shallowness of that rally lineup has angered some Texan women of color enough to refuse participation in the rally. I am begging the people who identify as Texas Democrats or liberals to demand more space and time for the citizens to guide this process free of TDP manipulation or stage dressing. Many of the people who will attend the rally and trainings look like and come from the same class of those who already enjoy the easiest access over candidate selection and legislative direction. This privilege comes with duty, the duty to ask party staff and officials where all the millions of dollars and hours of human capital went during thirty years of failure. Party consultants and those enriched by decades of stagnation need to be tested like the politicians and their procedures were on June 26th. The direct action that stopped SB5 can continue and may still be led by unelected Texans — if the party faithful can remain in dissent.